I was originally planning to visit The Eatery in Kitsilano, but as I was getting there, the Skytrain suddenly stopped. The train I was in suddenly tilted while 10 meters in the air, and I wondered if it was going to fall off the tracks. After a few minutes of wondering, I got bored, whipped out my laptop, and played games on it for an hour before being let out of the stuffy train. Now an hour and a half behind schedule, with the Skytrain system down and the bus stations a mess, I decided to just take whatever bus I could to leave New West, and the closest Japanese restaurant along my route happened to be Nao Sushi. 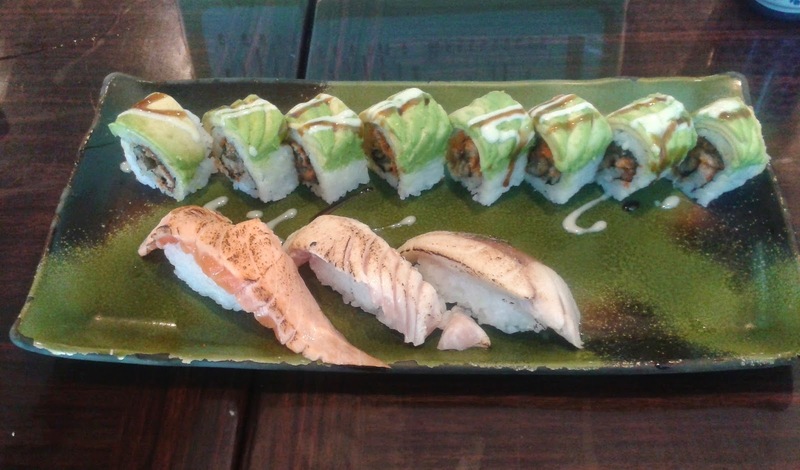 Nao Sushi is a moderately-sized Japanese-run restaurant (yes, it is authentic!). It is frequented by many Japanese people who live nearby. Despite the restaurant being nearly full, I was served in a courteous and timely manner. Ankimo (monkfish liver) is a delicacy in Japan and I was pleased to find it offered for $3.50. 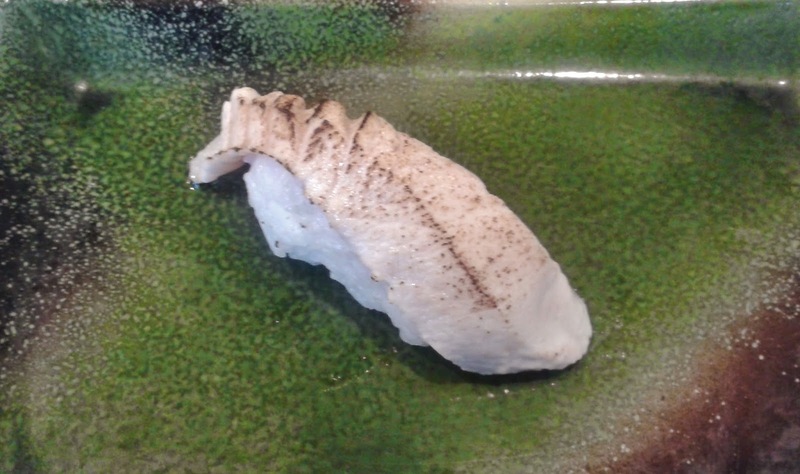 It came with two pieces of Ankimo in a ponzu sauce with sake (rice wine) mixed in. The ponzu sauce was quite acidic and helped accentuate the flavour of the very soft Ankimo, which tasted like a very unique amalgamation of clam and salmon. 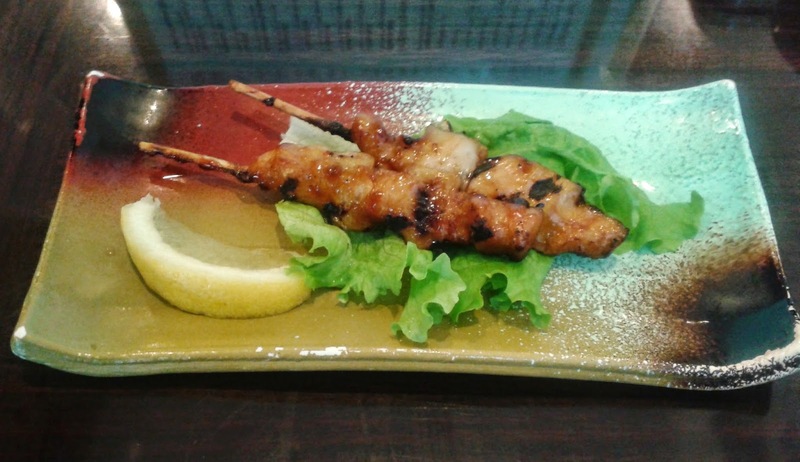 The Yakitori came with two small chicken skewers and had tender white meat and was evenly seasoned with teriyaki sauce. The leeks were quite juicy, but some parts of the chicken were excessively charred. The Ebi Mayo came with four shrimps and it looked like it was going to be excessively crunchy. 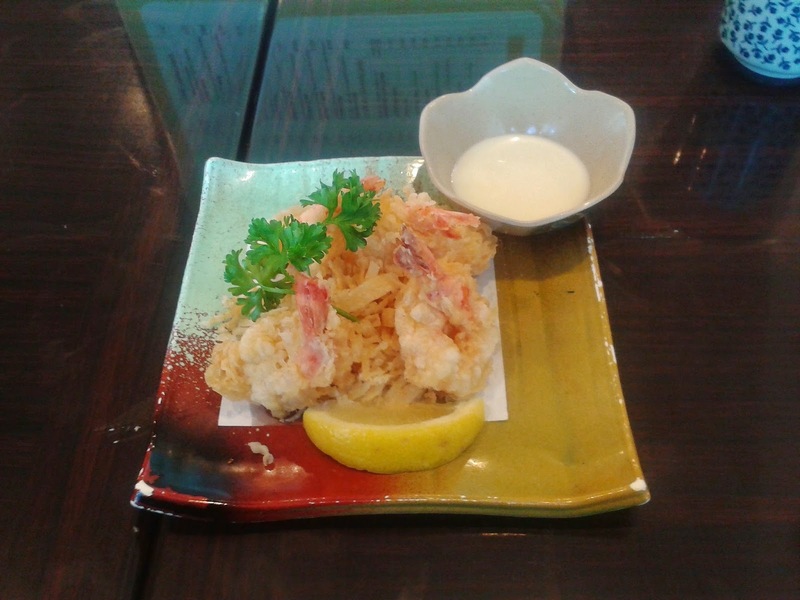 However, as soon as I bit into it, it was some of the softest batter I have had for an Ebi Mayo. The shrimps were curiously curled around themselves. The fries underneath were made of flour and reminded me of sesame crackers (the Chinese New Year snack). The batter on the prawns had the same sesame cracker essense, but this was alleviated by the mayonnaise. The Dragon Roll consisted of unagi (BBQ eel), cucumber, avocado and masago. 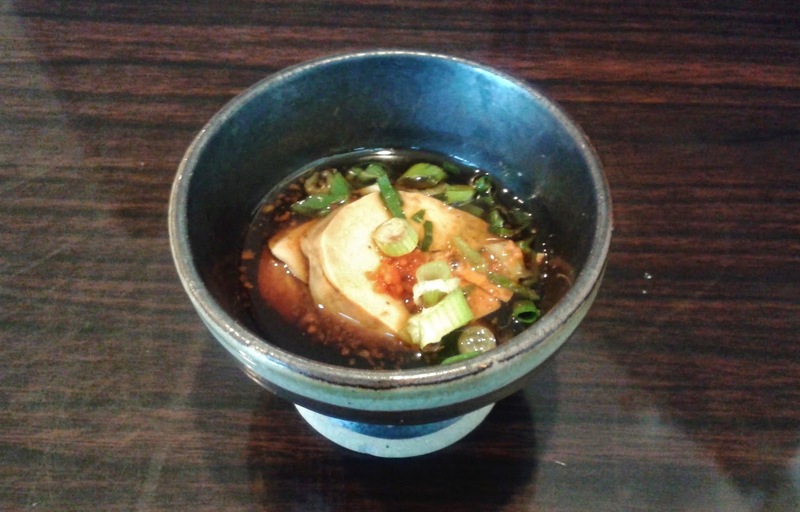 The unagi sauce was applied well and the unagi inside was very rich in flavour and tasted freshly grilled. Overall, the roll had a soft texture and the avocado on top had the right amount of sauce drizzled on top of it. However, the rice was a bit mushy, which kind of detracted from the excellent unagi inside. The second time around, it had a little too much rice compared to fish ... maybe they thought I wasn't full and wanted to make sure I left the restaurant feeling full and satisfied? I'll give them that the fish was still just as good as before. Well, is authentic Japanese food better than non-authentic Japanese food? Not always, but in the case of Nao Sushi, I would say the answer is yes. And yes, I did leave full and satisfied.